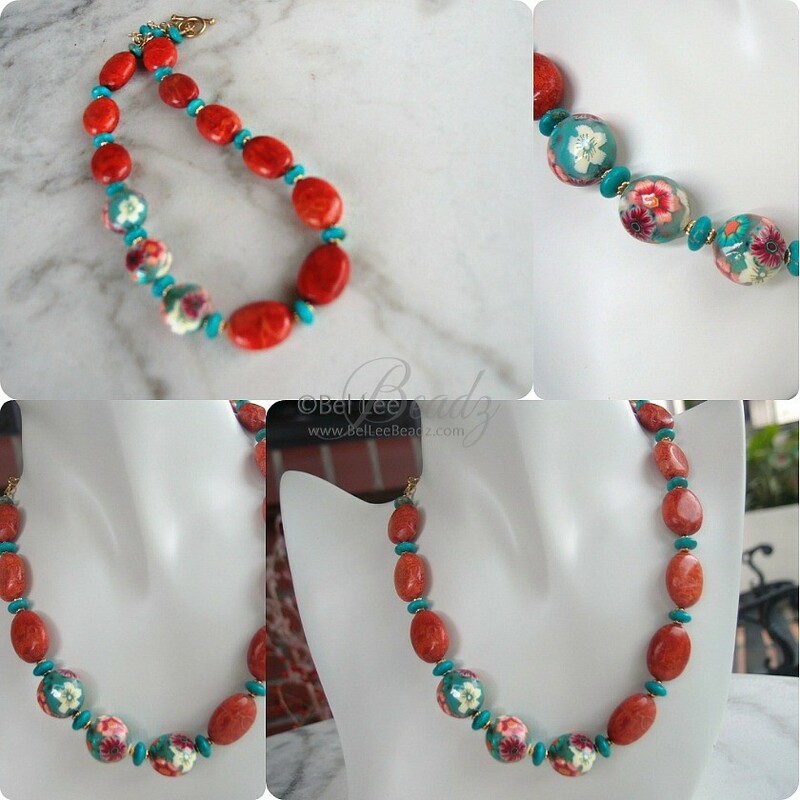 Turquoise and coral always go so well together. 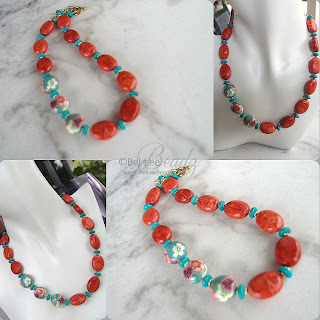 In this creation I've added smooth puffy polymer clay coins in the same colour zone as the turquoise and coral and I think the end result is really pretty. This necklace measures approximately 17" and fastens with a vermeil toggle.